Wednesday is the new Thursday, and Thursday is the new Friday. What’s that mean? If you’re a 20something who loves to go out, you’ll probably be indulging in a drink or two tonight. 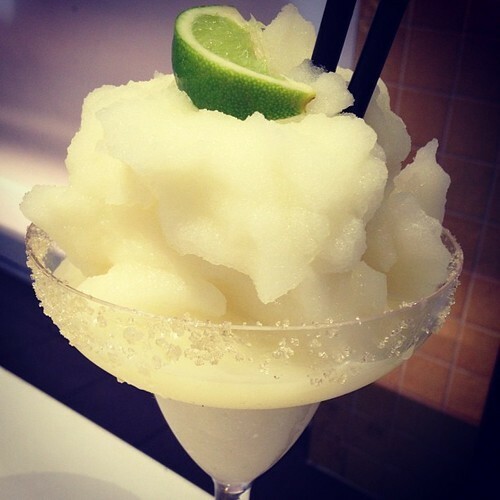 If you’re keeping things (relatively) low key, this skinny margarita is a must! It has four ingredients, a fraction of the calories of a normal marg, and is super simple to create. For the lazy party girl, this is literally the best drink ever. So go ahead! Indulge! Recipe via Pinterest, c/o Lisa McMillan Roth. While there’s a pretty high likelihood that you haven’t even fully recovered from last weekend’s festivities, it’s never too early to start planning for your next big party, right? Summer is all about shenanagins, after all! Check out these killer drink suggestions and start planning your weekends accordingly. 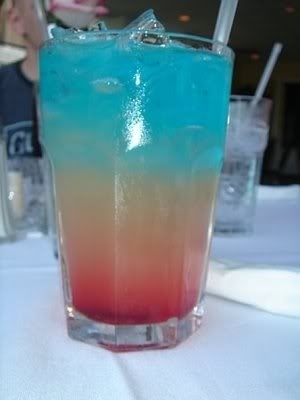 The Deets: Layer 2oz Bacardi Razz rum, 2oz lemonade, + 2oz Blue Curacao. Hosting a party? Consider this drink your go-to. 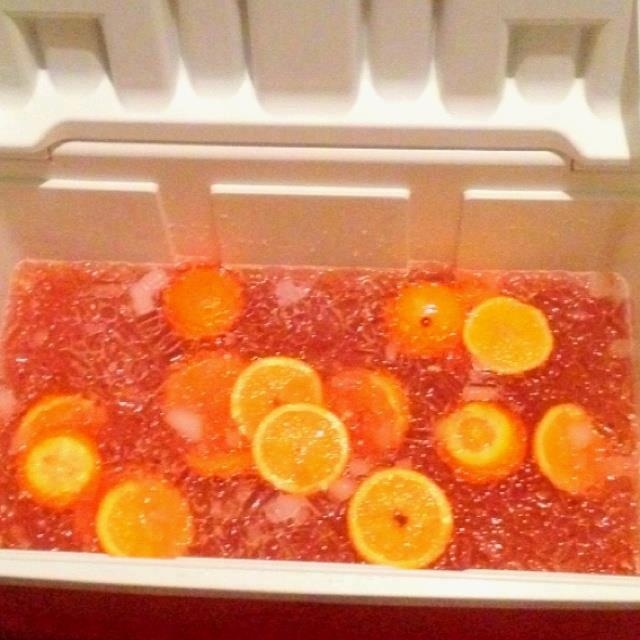 If you’re a “get dressy to get messy” kind of girl, this will definitely be your jam–Trash Can Punch, which is full of fruit, juice, and booze, will mess you up. Poor this one into a cooler or a new/clean trash can and drink all night. The Deets: Alcohol: 1 bottle of vodka, 1 bottle of tequila, 1 bottle of Everclear, 1 bottle of Jack Daniel’s whiskey. Fruit: 3 oranges, a bundle of grapes, + any other fruit you like. Juice: 2 cans of pineapple juice, 2 frozen cans of Minute Maid fruit punch, 2 frozen cans of Minute Maid limeade, 1 frozen can of apple juice, 1 frozen can of orange juice. 1 bag of ice! Combine all ingredients into container and enjoy–eat the fruit last! For all you non-drinkers (holla!) this punch is totally tropical, fizzy, and refreshing, sans alcohol. A spritzer is basically the ideal beach drink for non-boozers, and this one makes a simple and delicious all-ages mocktail to have on hand at family events and a summer showers. After all, drinkers can always add vodka to this recipe, but we can’t exactly subtract it from theirs. Boom. 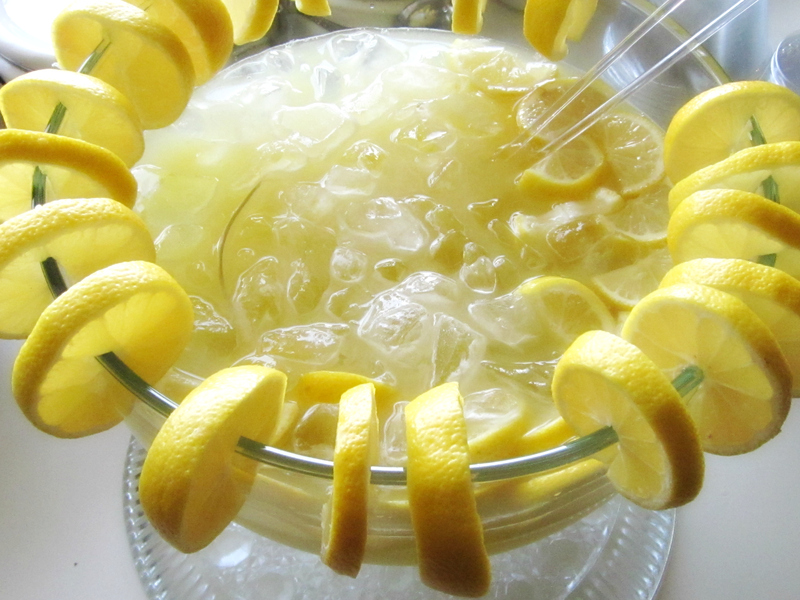 The Deets: Combine Lemonade + Sliced fresh lemons + Sprite + Pineapple Juice. I don’t care what anyone else says, to me, Summer = Sangria. While I’ll drink just about any wine and fruit mix, my favorite sangrias are of the white variety like this one, plus this one uses all of my favorite fruits! As is the case with many (all?) summer drinks, this one goes down super smoothly and the tipsy feeling tends to sneak up on you, so be warned! Of course, if you’re feeling a little less indulgent, this recipe for Canada Dry Red & White Sangria is a great alcohol-free option. 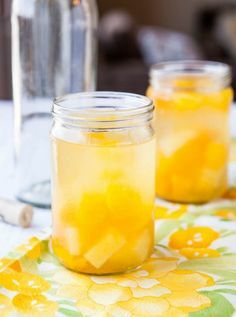 The Deets: You’ll need 1 bottle of white wine, 1/3 cup peach schnapps, 1/4 cup sugar, 3/4 cup mango chunks, 3/4 cup pineapple chunks, and 1/3 cup pineapple juice–check out the instructions in this white sangria post on Averie Cooks! 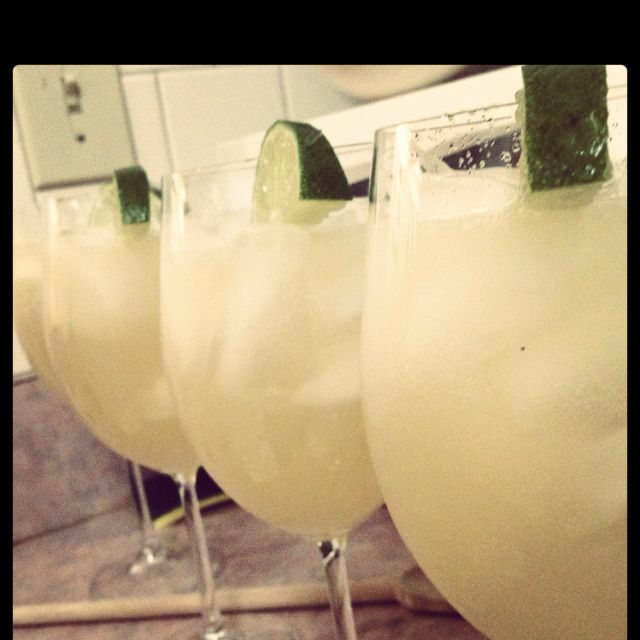 For more summer specialty drinks check out Jeannie Guzman’s drink idea page on Pinterest! What are your go-to summer cocktails? Will you be trying any of these?! 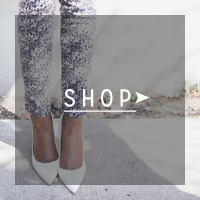 Let me know–leave a comment!